Kensington Security Slot and Lock for Laptops are intended to deter or to some extent prevent stealing of Windows based Laptop or MacBook Pro with steel cable. It is officially known as the Universal Notebook Security Cable. Windows based laptops are practically a joke by build, but this Kensington Security Slot actually has a metal plate extension to the only one metal board on which all the things are actually screwed, in some models. For some devices, the holes for the lock are machined only in plastic, so that breaking out is very simple. For MacBook Pro, definitely Kensington Security Slot with lock is a real pain for the thief to steal but unfortunately MacBook Pro with Retina Display right now has no Kensington Security Slot to hold the loop. The company who first developed the idea is Kensington. There will be a very small slot on the side of your MacBook Pro (non-Retina, non-Air) or Windows based Laptops. For Macbook Pro, its on the right side, beside the SuperDrive slot. MacBook Air had no Kensington Security Slot back in 2010. 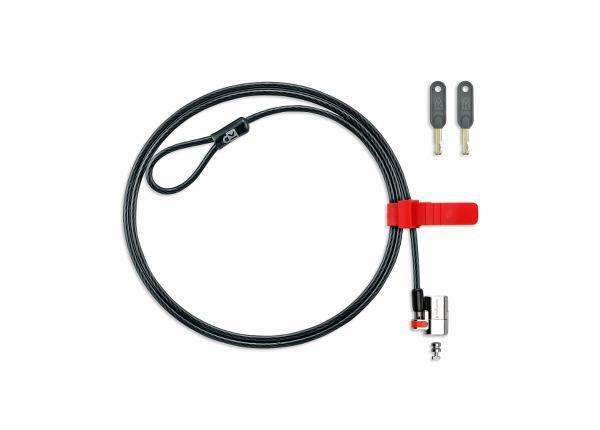 An optional kit allows the cable to be used to add either pillar or kind of such immovable objects to hold the loop of the metal wire or attached to an electronic alarm device. Kensington Security Slot and Lock set is basically designed to deter the theft. Per se it has not much physical power. Its very easy to make it out from the Windows based laptops or to cut the wire. As some MacBook owners raised the question, what is the meaning of keeping the hole (many wrote the incidents of slipping of the MBP while just holding the MBP with the wire without any support). However, Kensington Security Slot and Lock might defer to perform some maneuver which is possibly enough to take clear videos by the security camera in the room. Obviously Kensington Security Slot and Lock is not any reason to keep your costly laptop unattended. Cite this article as: Abhishek Ghosh, "Kensington Security Slot and Lock for Laptops," in The Customize Windows, March 21, 2013, April 21, 2019, https://thecustomizewindows.com/2013/03/kensington-security-slot-and-lock-for-laptops/.